On the morning of August 24th, 2014, the ‪Napa Valley Earthquake left our store a big mess. Feed and supplies were strewn about the retail floor and the warehouse, our office was in shambles, trophies and photos of little league teams (and other team sports) we've sponsored in the past crashed to the floor. We were lucky. We were closed at the time so no employees were injured, and the animals we have at the store were unharmed. Some of our friends and neighbors (especially in American Canyon and Napa) were not so lucky, though. Some were even closer to the epicenter of the ‪earthquake and took a much bigger hit than us. Some of those folks had property and homes that sustained major structural damage and some had animals run away in fear of the disastrous event. 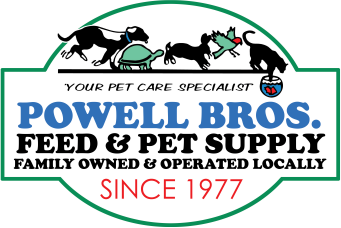 Powell Bros. Feed & Pet Supply will be accepting cash donations at 1895 Broadway, Vallejo, CA and offering discounts to those who would like to purchase items to be donated to help those in need. Donations will be collected and distributed to area organizations that are helping with the earthquake relief. *These items will be held at Powell Bros. until we deliver them directly to area relief efforts. If you'd prefer to donate directly to area organizations, please, do so. Whatever is most convenient to you. Thank you in advance. And to those who have been affected by the earthquake, our thoughts are with you.